Blog - Mathura Ke Peda –Easy To Make And Yummy To Eat. Milk is a complete food and so milk products. 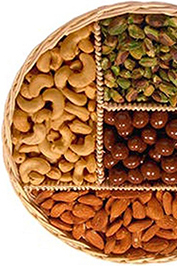 The Mathura peda is completely made up of Khoya. No artificial flavouring agents or colouring agents are added in this recipe. Here is the recipe of Mathura Peda. Try it at home and share happiness. We need only 4 ingredients to make this yummilicious peda. Step 1: Take a thick bottom pan and keep it on medium flame. Add the ghee and melt. Step 2: Add the entire Khoya and stir it well. Put the flame low. Stir it slowly but continuously till the Khoya becomes brown in colour. Step 6: Once the Khoya is brown, turn off the flame and keep it aside for the Khoya to cool down a little. Never allow the mixture to cool down completely, since we cannot make peda from a cold mixture. Step 7: After the mixture cools down enough to touch with hands, add sugar and cardamom powder and mix well. Step 8: Make small balls using your hands and press softly in the centre in order to get the shape of peda. Step 9: Place peda one by one on a clean plate. Mathura peda is ready to be served. 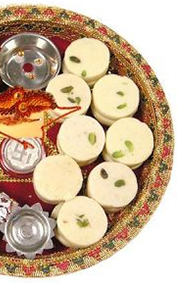 Now, you can make Mathura peda for all occasions very easily. 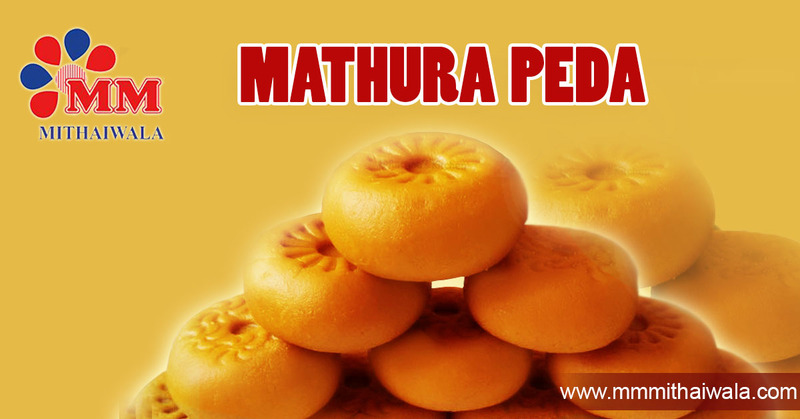 Or else you can also order Mathura peda from the online store of MM Mithaiwala.